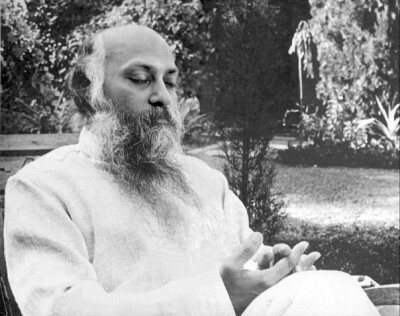 On April 10, 1981, Osho sends a message that He is entering ultimate stage of His work, and that from this date He will speak only through silence. He continues to meet with His secretary but does not appear until three weeks later when the satsangs are resumed and Osho appears in the meditation hall to sit silently with His disciples and visitors. An ancient Buddhist chant is sung at the beginning of the meetings, and they end with music, singing, and dancing. 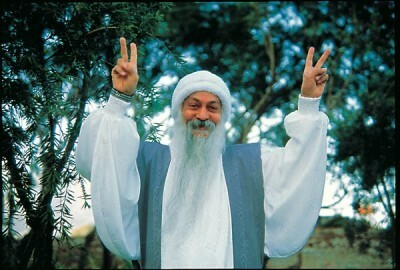 Meanwhile, Osho’s health has become more and more fragile, In addition to His allergies, He now has severe back pains, and doctors are concerned that He might need sugary at some point. Their concern is heightened when a dangerous crisis arises related to a prolapse disk and the potential for nerve damage if it is aggravated. 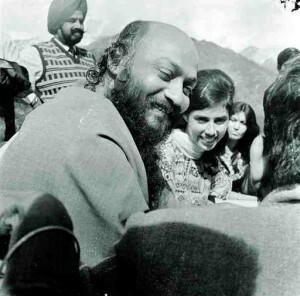 The assistant to Osho’s personal secretary, Ma Anand Sheela, arranges for Him to go to the United States where He can be treated before another crisis arise. On June 1, 1981, He flies from Bombay to New York with His household and medical staff. 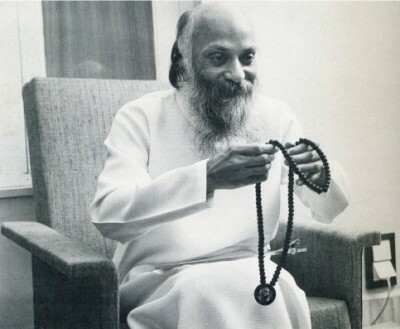 1981: On May 1st Bhagwan stopped speaking and entered a phase of “silent heart-to- heart communion” while His body, now seriously ill from a back condition, was resting. He was taken to the USA by His doctors and caretakers in view of possible emergency surgery. His American disciples purchased a 64,000 acre ranch in the Central Oregon desert. They invited Bhagwan there — where He recovered rapidly. A model agricultural commune evolved around Him with breathtaking speed and impressive results, reclaiming overgrazed and depleted land from the desert and turning it into a green oasis feeding a city of 5,000. 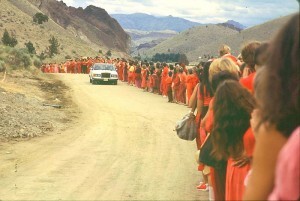 At yearly summer festivals held for Bhagwan’s friends from all over the world, up to 20,000 visitors were housed and fed at this new city of Rajneeshpuram. Parallel to the rapid growth of the commune in Oregon, large communes sprang up in all major Western countries, and also in Japan, supported by their own independent businesses. Bhagwan had by then applied for permanent residence in the U.S.A. as a religious leader, but was refused by the American government; one of the reasons given was His vow of public silence. At the same time the new city was under increasing legal attack from the Oregon government and the Christian majority in the state. Oregon’s land-use laws, meant to protect the environment, became a major weapon in the fight against a city that had put enormous effort into reclaiming barren land and enhancing the environment — in fact a city which had become an ecological model for the world. After 1315 days of silence, on 30th. October 1984, Bhagwan started speaking to small groups in His residence, and in July 1985 He started giving public discourses every morning to thousands of seekers in Rajneesh Mandir. On September 14, Bhagwan’s personal secretary and several members of the commune’s management suddenly left, and a whole pattern of illegal acts committed by them came to light. Bhagwan invited the American authorities to the city to fully investigate the matter. The authorities used this opportunity to accelerate their fight against the commune. On October 29, the bail hearings He was put in chains. The trip back to Oregon where He was to appear in court — normally a five hour flight — took four days. For two of those days there was no trace of Bhagwan. Later He revealed that in the Oklahoma State Penitentiary He was signed in under the name of “David Washington” and put into an isolation cell with prisoner suffering from infectious proven fatal for Bhagwan. 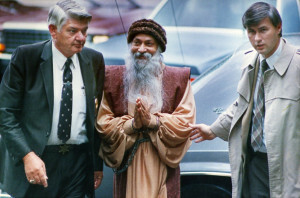 Just an hour before being finally released, after a 12-day ordeal in prisons and chains, a bomb was discovered at the Portland, Oregon jail in which Bhagwan was kept. Everybody was evacuated except Bhagwan, who was kept inside for an hour. In mid-November His lawyers urged Him to plead guilty to two of thirty-four minor “immigration violations” with which He had been charged, so as to avoid further risks to His life in the hands of the American judicial system. Bhagwan acquiesced and entered and “Al ford plea,” a plea peculiar to the U.S. judicial system, whereby He could accept the contention of guilt while at the same time maintain His innocence. He was fined four hundred thousand dollars and ordered to leave the USA, not to return for five years. 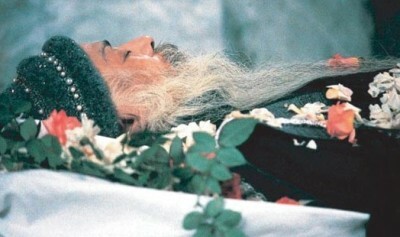 He left by private jet the same day and flew to India, where He rested in the Himalayas. A week later, the Oregon commune decided to disperse. In a press conference, U.S. attorney Charles Turner made three points in answering the questions:Why weren’t the charges brought against His secretary also brought against Bhagwan? Turner said that the government’s first priority was to destroy the commune and that the authorities knew that the removal of Bhagwan would precipitate this. Second, they did not want to make Bhagwan a martyr. Third, there was no evidence whatsoever implicating Him in any of the crimes.